Checks are very rarely used for online transactions, but they can be enabled if desired. Note that if you decide to use this method, you need to make sure that, the address to send payment to is prominently displayed on your site and the receipt. 1 - To use "Check" as a payment method, in the admin site, go to Configuration → Site Configuration Wizard and check the box beside Checks. Another way is by manually adding it in Configuration → Advanced → AppConfig Parameters; enter Check by Mail in the PaymentMethods appconfig. 2 - It will then be shown in the Payment Info page as one of the payment methods. 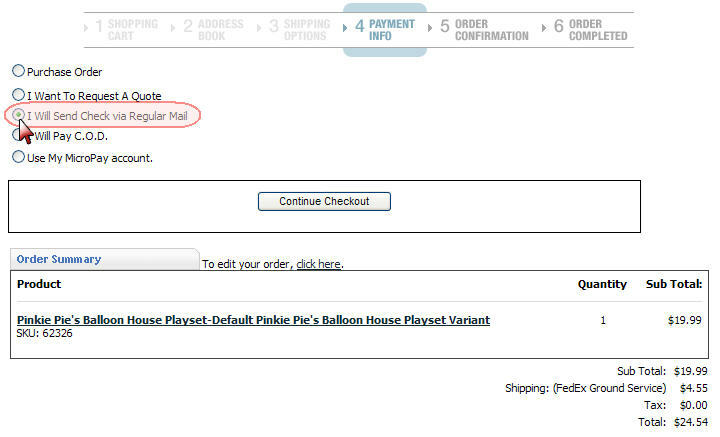 3 - A confirmation message will be displayed after placing the order. Note: In the topic page, edit the message that will be displayed in the order confirmation page. Go to Content > Manage Topics, on the left side you will see a list of topics, click on checkinstructions. In the Description box enter your instructions for sending the checks. After you are done click on the Update Topic button to save the changes. 4 - It may now be viewed by the admin in Orders → View/Manage Orders. 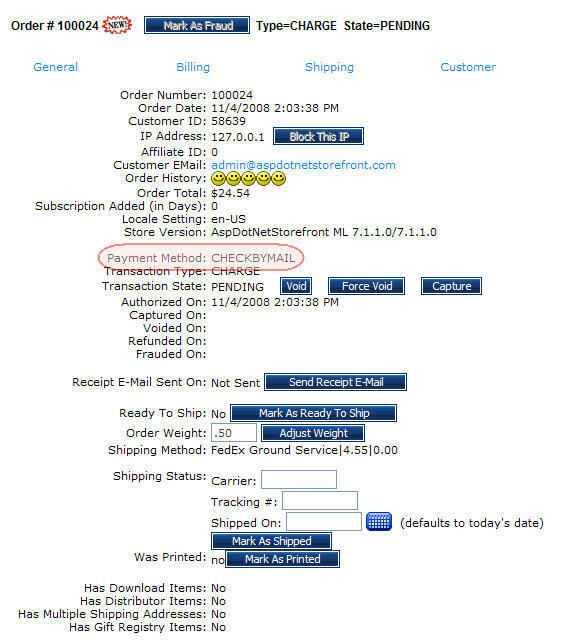 You will see that "CHECKBYMAIL" is the payment method indicated.